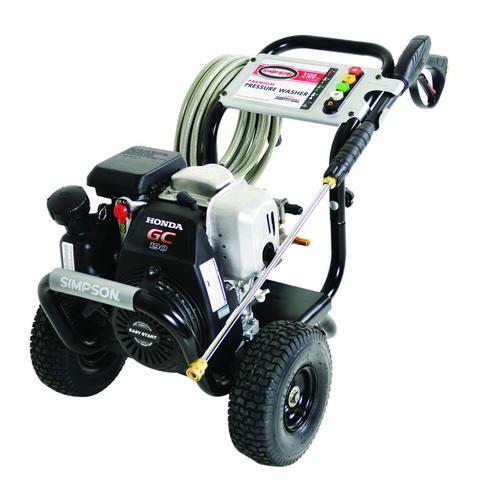 Power Washer Gas | Product categories | Waltco Tools & Equipment, Inc. 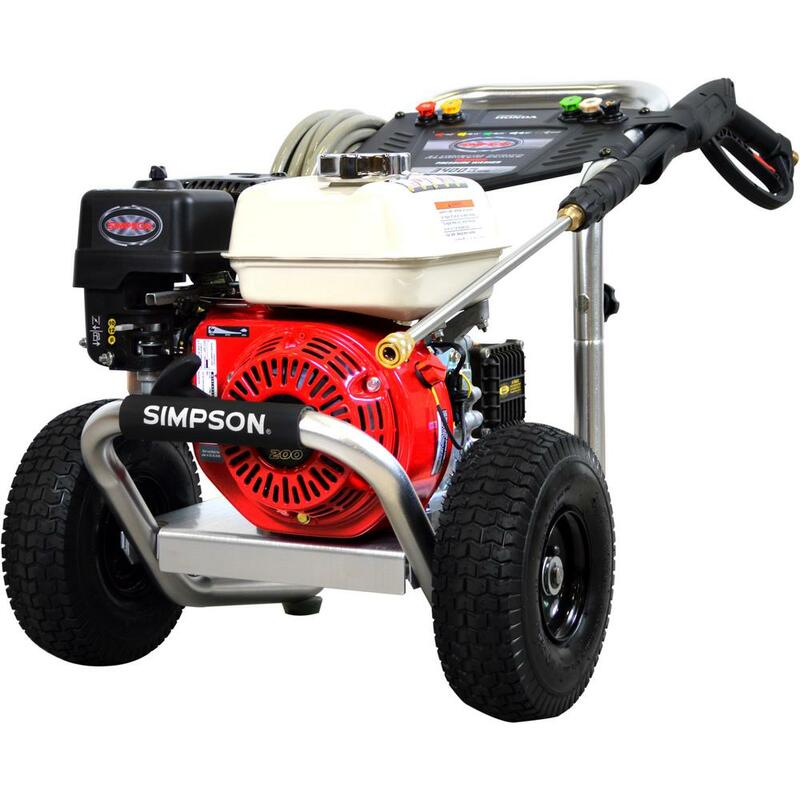 Built for professional grade performance, the SIMPSON® Aluminum Series 3500 PSI @ 2.5 GPM pressure washer is built to perform. With a powerful Honda engine, reliable triplex pump and ultra lightweight aircraft grade aluminum frame, this gas pressure washer is great for construction, equipment upkeep, facility & fleet maintenance cleaning. The ALH3425 is powered by a Honda engine and comes with a 35’ hose, an ergonomic spray gun and 5 Quick Connect nozzles. The SIMPSON PowerShot 4000 PSI @ 3.3 GPM is built to perform. 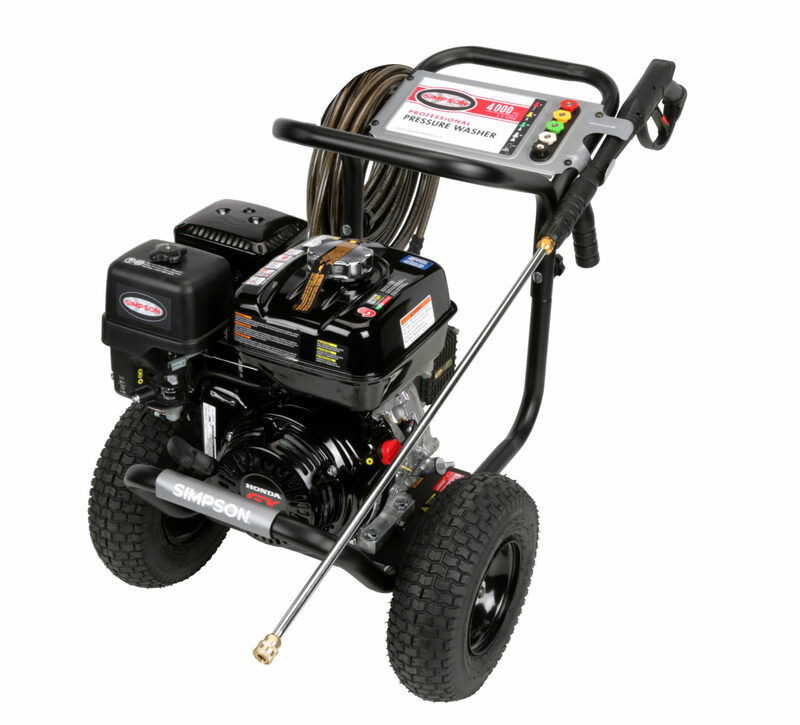 With a powerful Honda engine, reliable triplex pump and welded steel frame construction, this gas pressure washer is great for construction, equipment upkeep, facility & fleet maintenance cleaning. The PS4033 runs on a Honda engine with low oil shutdown and comes with a 50’ hose, an ergonomic spray gun and 5 Quick-Connect nozzles. 1 year warranty just like a new one.